Turn your bedroom into a mini home cinema and immerse your senses with sharp imagery thanks to the Kogan 40” Full HD LED TV (Series 7 GF7000). 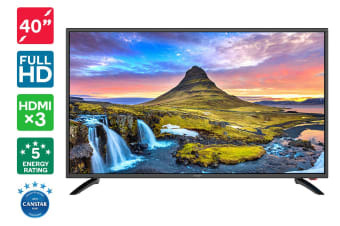 Prepare to be captivated by high-quality resolution on this stunning Kogan 40” Full HD LED TV (Series 7 GF7000), equipped with a sleek, space-saving design. Immerse your senses without it costing the earth and taking up valuable space thanks to this highly efficient LED TV boasting a 5 Star Energy Rating to make sure your energy bills stay at low as possible. 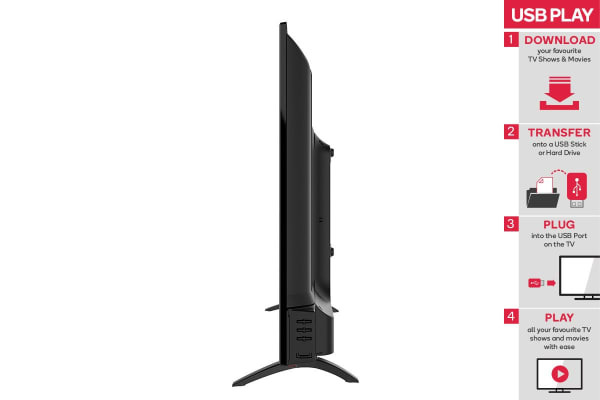 Hook up your gaming console, projector or legacy VCR to the Kogan 75” 4K LED TV’s USB, HDMI and AV inputs, letting you play your favourite media how you want when you want. Plus, with PVR features you can pause and rewind live TV and record your favourite shows onto USB playback for later! LED TVs allow for considerable space saving over conventional LCD TVs, resulting in sleek designs and some of the thinnest TVs ever released. LED TVs use 30% less power than conventional LCD TVs of the same size and will help reduce both your carbon footprint and electricity costs.